Where does IBM fit in the cloud market? Recently released reports from two investment research firms call into question just exactly where IBM fits in the cloud computing market. Deutsche Bank’s Markets Research team issued a note titled “Why IBM Won’t Catch AWS,” which argues that IBM’s focus on hybrid cloud computing puts the company in a different, and smaller, market than Amazon Web Services. Another report from UBS Global Research focused more broadly on the cloud computing market and said IBM should be considered among the “Big 4” providers in cloud: AWS, Microsoft Azure and Google Cloud Platform. 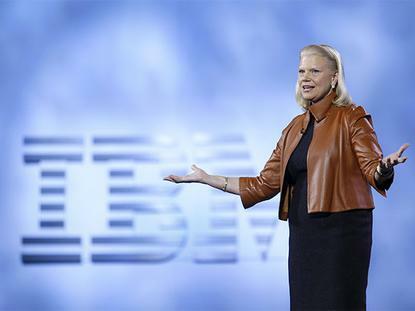 The conflicting reports show IBM is sitting on the fringe of the cloud market. While other infrastructure peers have “thrown in the towel,” Deutsche Bank gives IBM credit for spending $2 billion to acquire SoftLayer in 2013 and since then invest more than $1 billion to expand its cloud footprint. Despite those investments, Deutsche Bank says IBM hasn’t seen the same market demand for its services as competitors. AWS had 64% revenue growth and Azure had 120% in the first quarter this year; IBM’s were in the lower double-digits. Deutsche Bank notes that IBM earns more than $5 billion in “as a service” revenue annually, but only $700 million is from SoftLayer, making IBM’s public cloud larger than Google’s cloud revenues, but half the size of Azure. UBS, on the other hand says IBM’s positioning makes it among the crop of leaders in the cloud market: “UBS Evidence Lab data suggests that cloud is not a winner-take-all market, with many customers looking to add rather than consolidate vendors.” AWS, Azure, GCP and IBM all have opportunity to compete in what could be a $100 billion market by 2020; the ‘Big 4’ vendors could command 92% of this market, the report notes. UBS says AWS and GCP have the most to gain from a shift toward the public cloud; vendors most negatively exposed from the rise of cloud include Hewlett Packard Enterprise, EMC, Cisco, NetApp, Rackspace and Brocade. It’s more “mixed” for Oracle, IBM and Arista Networks, UBS says. UBS, meanwhile notes that AWS leads in IaaS and PaaS market share with 32%, followed by Azure at 13%, but IBM comes in with 7% and Google at 6%. The different perspectives of the reports emphasize how the cloud computing market is still evolving. Last year in Gartner’s Magic Quadrant for IaaS, IBM received high marks, but the only two companies in the “leaders” category were AWS, which was by far the leader in the market, and Azure. IBM focuses not only on hybrid cloud computing, but also using open source components in its offerings. The company also has a wide variety of services across the IaaS, PaaS (BlueMix) and SaaS markets. IBM declined to comment on this story.